a 2004 comedy film written by Jared and Jerusha Hess and directed by Jared. 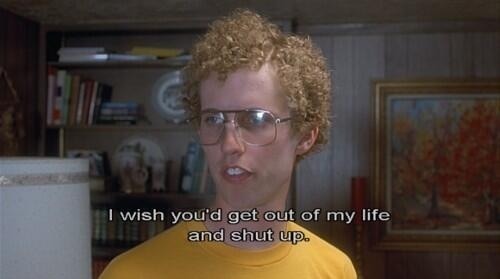 The -Best Napoleon Dynamite Lines That We Still Use Today. 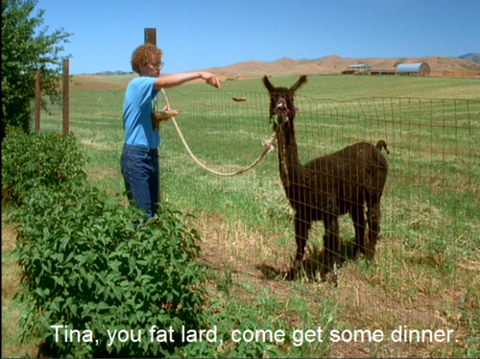 Tina,you fat lard, come get some dinner. 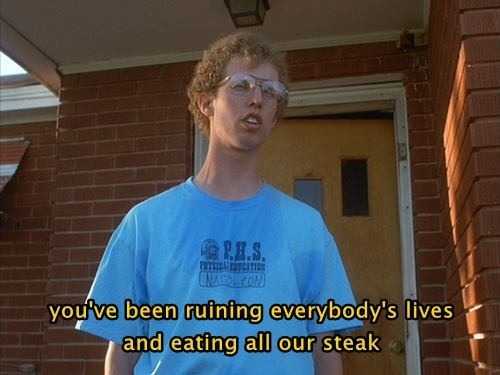 You've been ruining everybody's lives and eating all our steak. -What are you going to do today, Napoleon? -Whatever I feel like I wanna do. Gosh! I see you're drinking one-percent. Is that'cause you think you're fat? 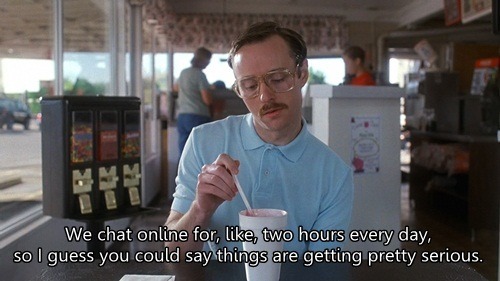 We chat online for, like,two hours every day,so I guess you could say things are getting pretty serious. The worst day of my life, what do you think? Napoleon Dynamite: [referring to Deb’s milk] I see you're drinking 1%. Is that 'cause you think you're fat? 'Cause you're not. You could be drinking whole if you wanted to. Pedro: Well, when I came home from school my head started to get really hot. So I drank some cold water, but it didn't do nothing. So I laid in the bathtub for a while, but then I realized that it was my hair that was making my head hot. So I went into my kitchen and I shaved it all off. I don't want anyone to see. 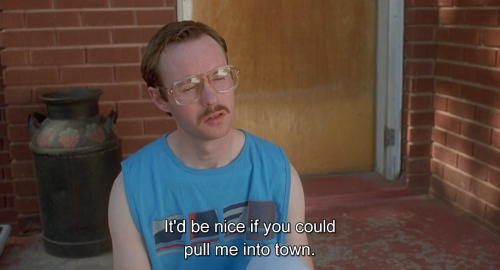 Napoleon Dynamite: It's pretty much my favorite animal. It's like a lion and a tiger mixed… bred for its skills in magic. Uncle Rico: How much you wanna make a bet I can throw a football over them mountains?… Yeah… Coach woulda put me in fourth quarter, we would've been state champions. No doubt. No doubt in my mind. Napoleon Dynamite: You know, there's like a boat-load of gangs at this school. This one gang kept wanting me to join because I'm pretty good with a bo staff.